Q. How can AgEdNet.com help me meet Common Core objectives? A. AgEdNet.com is supremely adaptable. You might use AgEdNet.com for classroom instruction, for independent study, as materials for substitutes, or in even more ways. Our online curriculum includes almost 1,300 lessons covering a wide range of agriculture-related topics. And the lesson text does not stand alone. We include glossaries, PowerPoints, puzzles, exercises, worksheets and internet resources at no extra cost. All provide good ways to meet Common Core requirements. AgEd Today, our daily agriculture news report, offers another excellent source of agriculture-related reading and writing opportunities. The Common Core is a voluntary set of learning goals outlining what students should know and do at each grade level. It was developed by governors, state commissioners of education, industry groups and teachers. The Common Core does not tell teachers what to teach or provide a list of facts students must memorize. Instead, it defines which skills students will need in reading, writing, speaking, listening and using language in order to be better learners in any subject area and to help them be successful in college and/or careers after leaving high school. Keep in mind, the Common Core does not specify the curriculum to be used. Instead, it lists important learning skills for students to master. Q. How about some examples? Start with the lessons. Our almost 1,300 lessons provide many options for subject-related reading opportunities. Use the news. AgEd Today, our daily news service, also offers a broad-ranging source of agriculture-related reading material. Have students use the news review worksheet to complete writing assignments on a regular basis. Beef up on vocabulary. For meeting vocabulary goals, the interactive crossword puzzles and lesson library glossaries are excellent resources. Exercise your options. Don't stop with the lessons. Exercises provide many opportunities to practice group speaking and listening skills and apply knowledge presented in the lesson text. Delve deeper. Use lesson internet resources in each lesson for additional, in-depth information. Reading (also in a version for history/social studies, science and technical subjects) VIEW STANDARDS. Writing (also in a version for history/social studies, science and technical subjects) VIEW STANDARDS. Speaking and listening VIEW STANDARDS. Q. Are there other local, state or national standards? Your school or state may have additional standards requirements in place, such as the Common Career Technical Core (CCTC) or the National Agriculture, Food and Natural Resources (AFNR) Career Cluster Content Standards. Educators continue to search for the best ways to improve student learning. 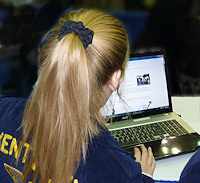 All AgEdNet.com lessons are matched with National AFNR Standards as revised in 2015. LEARN MORE. A book by Jim Burke was very helpful when preparing examples of how AgEdNet.com can be used to meet Common Core standards. It includes a plain English explanation of grade-level specifics for each anchor standard for both the regular version and the version for technical subjects. Detailed, specific instructional strategies are included, and key academic words and phrases are defined and explained for each anchor standard.